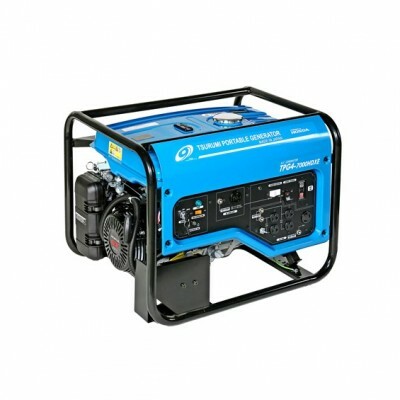 TSURUMI TPG4 Series Generators are designed to withstand the severe conditions of construction jobsites or industrial applications, especially where extra durability and dependable, stable power are required. Ideal to supply the power to Tsurumi’s single-phase submersible pumps and all your electrical power tools such as drills, saws, lighting and heaters. Available in electric start* or recoil start. Powered by a 13 hp Honda OHV engine with low level oil alert system. Large air filter for superior emissions control. 6.6 gallon fuel tank with fuel gauge. Rated load run time 7.6 hours. Noise level on a rated load is 78dB. 27.6 x 23.4 x 22.6"